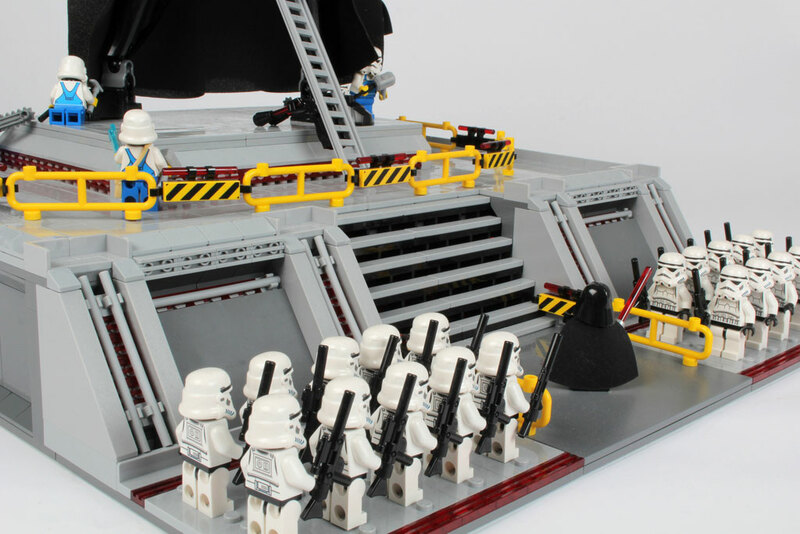 The „All Hail Darth Vader“ is a fine MOC by Lego Designer John Ho. 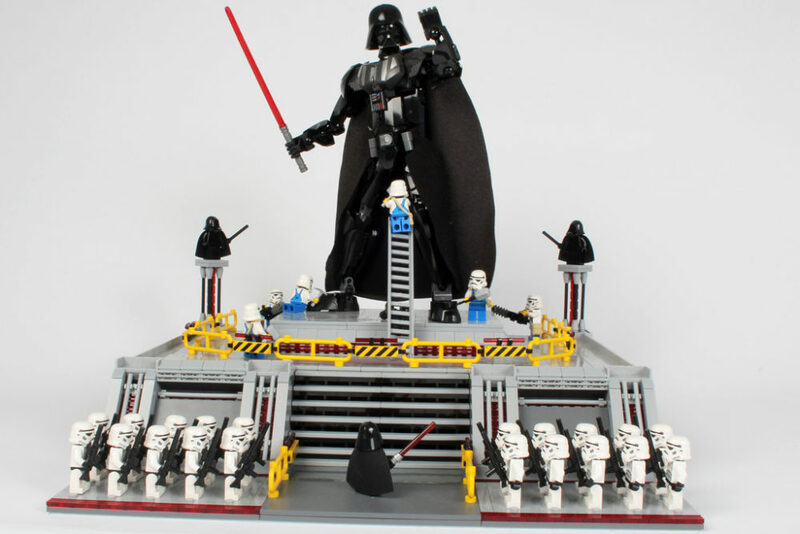 He is the creator of the Darth Vader Buildable Action Figure – 75111. And now, there is a place for this giant: Images. I have met John Ho at the Skærbæk Fan Weekend 2015 – a Lego Designer and a Brick-Fan. 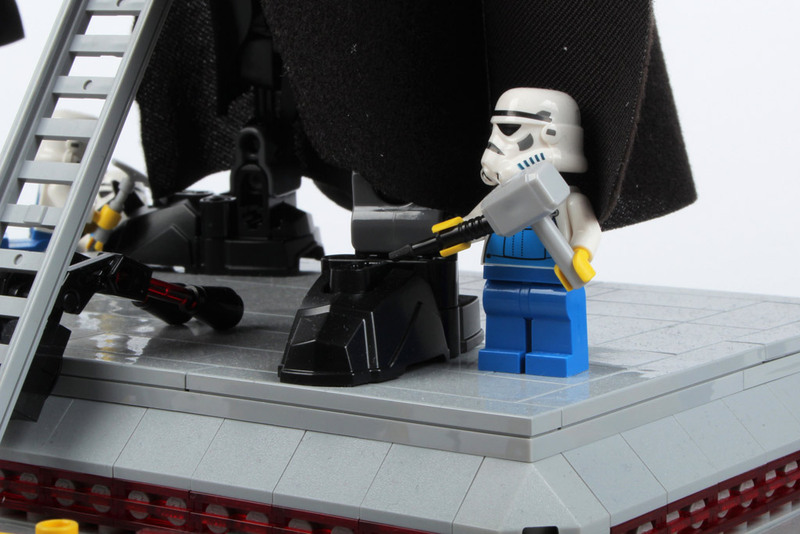 He created the Darth Vader Buildable Action Figure – 75111. And now, there is a right place for this figure: On Flickr, John has uploaded the „All Hail Darth Vader“. A statue with a lot of work to do for the Stormtroopers. And the Minifigure Darth Vader seems to be impressed, too. For his MOC, John has used a 48 x 48 baseplate. He had the idea during the design process of Darth Vader. I asekd John, how many bricks he used and how much time he spent, to create this great build. He couldn’t say, but for the whole layout, he needed just between five and seven hours. So I think, the next step should be a true to scale Death Star for the Darth Vader Action Figure, please. Please follow Zusammengebaut on Twitter, Facebook, YouTube or Instagram.